The Central government has launched a GST Training programme to skill 2 lakh youths in 6 months on how to handle tax compliance issues like invoice making. This program will be under the Pradhan Mantri Kaushal Vikas Yojana. Senior Advocate KK Venugopal’s name has been approved for appointment as the new Attorney General of India after Mukul Rohtagi’s decision to step down from the position. UNICEF has appointed Indian-origin Canadian YouTube sensation, Lilly Singh aka Superwoman as its newest global goodwill ambassador. She was in New Delhi to support UNICEF’s Youth4Change initiative. The head office of UNICEF is in New York, USA. Roger Federer from Switzerland won the 2017 Wimbledon title in the men’s single category after beating Marin Cilic of Croatia. This was Roger’s 8th Wimbledon title and 19th Grand Slam. 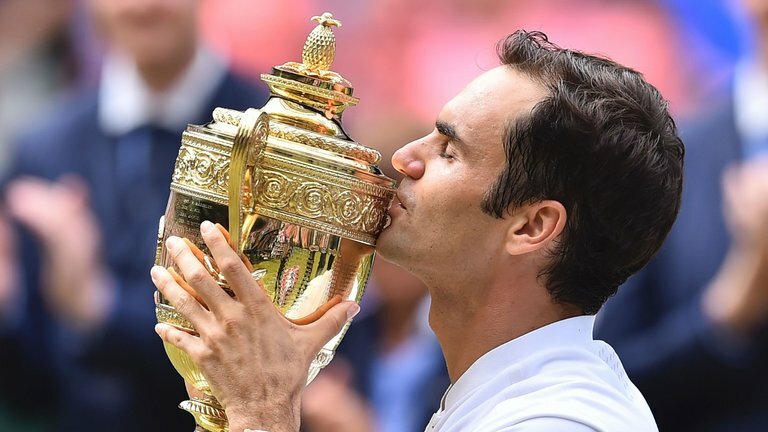 He is now Wimbledon’s oldest champion. Harinder Pal Sandhu, India, won the Victoria Open squash tournament held in Melbourne, Australia after beating Rex Hedrick from Australia. The 18th International Indian Film Academy Awards was held in New York. Neerja won the best film, Shahid Kapoor won the Best Actor award for Udta Punjab and Alia Bhatt won the Best Actress award for the same film. 1. Who was the runner’s up of 2017 Wimbledon men’s single title? 2. The GST training program for handling tax compliance issues is under which scheme? 3. Who has been appointed as the newest UNICEF goodwill ambassador? 4. Who is the new Attorney General of India? 5. Who won the best Actor award at the 18th IIFA awards?